感謝 前立法院長@王金平理事長邀請，參加由 中華科技金融學會、與國立高雄科技大學共同舉辦 【中華科技金融學會 – 南部分會成立大會】，會議圓滿成功！ 2018.06.13. 很榮幸參加由前立法院長 王金平院長擔任理事長的 【中華科技金融學會】 南部大會成立典禮。 @ 高雄科技大學, 2018.06.13. It’s a great academic conference held by Taiwan Financial Engineering Association & Quantitative Financial Department of National Tsing Hwa University. Many thanks to the task force, especial the dedicated efforts of the young generations. Teaching Festival @ College of Technology Management, NTHU ,2017.09.27. An event to celebrate a golden decade of economic prosperity and cultural dynamism. Bank of New York Mellon @ Grand Party on the 233th Anniversary and Taipei Office Relocation. 2017.06.27 @ Grand Hyatt Hotel. the 233th Anniversary of BNY Mellon. @ Banking Leaders Meet, by TaFED, 2017.03.03. Bankers Club @ Grand Hyatt, 2017.03.03. @ Business Leaders Meet, by TATA Consultancy Services (TCS), India, 2017.04.10. Ms Varkha Chugani (R) – Marketing Manager – Asia Pacific, TCS, Mr. Arup Dey (M) – Delivery Manager, TCS, Mr. Rich Ong (L), Founder and CEO, Makers 178, 2017.04.10. 胡天盛秘書長 – 台北電腦公會(左二)，李宜桓副秘書長(右二), 何子明董事總經理- DBS (右一), 翁禮祺總經理 – 鉅資科技 (左一)，於印度商塔塔公司 (TATA Consultancy Services Co) 商業領袖聯誼會議, 2014.04.10. at Taipei Marriot Hotel. Fun at giving a talk with happy students,2017.03.31. giving a talk with Human Resource Master students,2017.03.10. Return to alma mater to give talk to junior school mates. 2017.03.08. 謝謝【大同大學小朋友們】 – 協助【台灣財務工程學會】共同舉辦<不一樣的 FinTech 論壇>. Thanks to TTU students to have FinTech Forum like TED, 2016.12.28. 我們一直想要辦一場不一樣的 FinTech 論壇，一場讓新創團隊(Startups)可以像 TED一樣的舞台，讓他們在十八分鐘內，闡述從事金融科技創業以來的心路歷程。 這次在文華教授的安排下，成為 20歲、30歲、滿50歲的三代創業家的對談。朋友們告訴我說，這場三代對談的衝擊很大 ! 【金融創新 Finnovation 高峰座談】- 主持人 鉅資科技翁禮祺總經理(右一)；與談人: 元大投信劉宗聖總經理(右二)、富邦期貨鍾秀培副總經理(左二)、南山人壽陳勝一副總經理(左一)。2016.12.28. 【金融創新科技 FinnoTech 新創團隊座談】- 主持人: 大同大學廖文華教授(右一)；與談人: 藍新科技劉雲輝執行副總暨台灣支付董事(左一)、Fugel 科技葉力維共同創辦人(左二)、TagPay 陳宥廷經理(右二). 2016.12.28. In memory of Those Days with Students of Tatung University, a year ago. 1. 榮獲 『FinTech玉山銀行特別獎第三 名』,@ 2016第21屆全國大專院校資訊應用服務創新競賽， 2016.11.05. 2. 榮獲『銀牌獎』@ 2016華南金控 校際FinTech 創新競賽， 2016.12.28. Lecture on 「Robot Advisors for Wealth Management 」@ Taiwan Commerce Association, 2016.12.21. 發表【FinTech 理財新浪潮 – 機器人理財趨勢與創新應用】@ 台灣經濟論壇, 2016.12.21. 擔任主講人 【FinTech 理財新浪潮 – 機器人理財趨勢與創新應用】@ 台灣經濟力論壇. I delivered speech 【Academic Research Experience Sharing】at College of Management, Tatung University, 2016.12.16. An inspiring talk with superb NTNU MFB students, 2016.12.11. 教授<金融科技應用與實務>課程，於【清華大學財務金融碩士在職專班】。林哲群主任(左五)、黃裕烈教授(右五)， 2016.12.11 @ 清華大學台北 孫運璿紀念館. 2016.12.11. @ 清華大學台北 . 孫運璿紀念館. Happy at giving a talk with superb students, 2016.11.29. 感謝 吳建文所長(右)邀請。以及 Mark Hsia (左)陪同我一起前往. Award of the 3rd place – 【Fintech track】 at <The International ICT Innovative Service Award,2016> , 2016.11.05. Fun at giving a talk with happy students,2016.11.01. 演講【金融科技發展趨勢與同學的機會】於 東海大學 【財務規劃與金融實務 】課程 – Happy Students ! I delivered a ‘Keynote Speech’ at 【Taiwan Academic Network Conference】@ National Dong Hua Univ, Hualien, Taiwan, 2016.10.19. 我在進行 Q & A 回答聽眾問題. Thanks to 【Taiwan Academic Network Conference】to invite me to have a keynote speech on topic 【The Global Trends and Innovation Opportunities on Financial Technology】. The audiances include professors from distinguished universities, and master and/or PHD candidates who submitted their papers. In my speech, the audiances exchanged their views with me proactively, that really inspired me a lot as well. Specially thanks for the fully administrative supports by Professor Sheng-Lung, Peng 彭勝龍, who is the Chairman and Conference Organizer. The success is attributed to the professionalism of his team. The beautiful campus of Dong Hwa University also impressed me a lot, 2016.10.19. 「銘傳大學 – 大三行銷研究課程」演講， @ 桃園龜山校區， 2016.10.18. I delivered speech at 【Marketing Research Program】Ming Chuan University, Tao yuan County, Taiwan, 2016/10/18. It’s great to give a talk at Ming Chuan University, students are proactivly participated in the course, I also learnt a lot from this interaction with them, Thanks Prof. Wen-Lung Shiau invitations. I delivered speech 【Embrace the Rise of Finance Technology】at Department of Computer Science and Engineering, National Taiwan Ocean University, Keelung, Taiwan, 2016/10/15. I delivered speech titled as【Embrace Finance Technology, Build up New Era of Information Services】at Department of Computer Science and Engineering, at National Ocean University, Keelung, Taiwan. I addressed the global research with the use cases of FinTech – Finance Technology, and advised the areas that EMBA students could do for their future plans. The students are the one in colleague and master programs. Students are encouraged to share their thoughts and raise questions. I am very impressed that they shared their views with confidence and clear logic, I feel happy and am proud of them. The success of this speech is attributed to the efforts of Prof. Chih-Min Chao. The success also thanks to the great academic research atmosphere of National Ocean University 13:00-15:00, 2016/10/15. 擔任論壇與談人， 【2016 浙江 –  台灣合作周 (杭州) 黃公望產業基金峰會】， @浙江省杭州市富陽區，2016/09/25~27. As the Panelist at the【2016 VC/PE Summit – the Cooperation between Zhejiang and Taiwan】, at Hangzhou, Zhejiang, China, 2016/09/25~27. Internet Finance Research Institute, Zhejiang University. I delivered a Speech at 【Financial Technology and Management Forum】, at National Tsing Hwa University, on 2016-09-24. I delivered a speech at 【Financial Technology and Management Forum】,on 2016-09-24, at at National Tsing Hwa University. I addressed the speech 『Innovative Applications on Robo-Advisors』, I talked about the global research with the use cases of FinTech – Finance Technology, with it applications on Digital Wealth Management. I also introduced the trends, challenges and innovative opportunities of Robo-Advisors. Champion Award of 【Innovative Services on Equity Open Data】, at workshop held by Taiwan Deposit Clearing Co, (TDCC) and Institute of Information Industry (III). 使用"Post It – 便利貼" 做創意發想. Participate in【Innovation Workshop on Equity Open Data】 held by Taiwan Deposit Clearing Co (TDCC) and Institute for Information Industry (III). There are approximate 80 participants that were divided into six groups. The contest time started from 09: 00 and ended at 17: 00. My project title is【Analyze Investors Behaviors via Big Data and Support Decision by Robo-Advisory】. We are glad to get Champion award among six groups. The co-work with team members and interaction with other teams gave me a lot to learn about. That is a very enjoyable experience, thanks TDCC and III for their endeavors. 2016/09/22. As panelists at 【FinTech Workshop 】held by Academic Sinica, Research Center of Information Technology Innovation. “順利舉辦2016金融科技論壇，超過150位關心台灣FinTech發展的朋友熱情參與! FinTech不是只有使用科技讓Financial Services變得更有效率，其實代表新的金融與服務的流動，期待下次的活動! “~ by 主辦單位 – 鄭文皇 副研究員. It’s a successful FinTech Workshop with full-seat audience coming from financial industry and academic institutions. Visit 【Research Center of Information Technology Innovation】, of Academic Sinica. You can see the smiles on everyone’s face, that is the symbol that we talk very happy and are good at planning for the upcoming event of 【FinTech Forum】hold by Academic Sinica. We had a lunch after the meeting at the faculty club, it is a very nice place, quite, and elegant atmosphere. 4. 翁禮祺 總經理 / 鉅資科技 (右三). 與財務工程學會拜訪 < 星展銀行 DBS> 何子明 董事總經理，2016/07/19. Visit Mr. Stephen Ho, Managing Director of DBS Taiwan, with Taiwan Financial Engineering Association, 2016/08/29. Visit Mr. Stephen Ho, Managing Director of DBS Taiwan, to discuss the plan for 「2017 Summit of Innovations on Financial Markets」. 2016/08/29. Visit Chief HR Director and Chief Digital Director of E Sun Financial Holding Company, with Taiwan Financial Engineering Association, 2016/08/24. Visit E_Sun Financial Holding Company, to discuss the plan for 「2017 Summit of Innovations on Financial Markets」. 2016/08/24. I delivered a keynote speech at 【the 22nd Cross-Strait Symposium on Information Management 】@ National Taipei University of Technology, 2016/07/30. 謝謝資訊管理學會翁頌舜理事長(現任國立台北科技大學管理學院院長), 及其他常務理事們給予我這個機會; 國立台北科技大學資訊與金融管理學系優良的學風也令我印象深刻, 個人學習與受益亦是許多, 期待日後再聚再敘。11:15-12:00, 2016/07/30. Thanks the opportunity given by <Computer Science and Information Management Association > to let me deliver a keynote speech on topic 【FinTech on Digital Wealth Management – Trends and Innovation Applications on Robo-Advisors 】. Specially thanks for the fully administrative supports by Professor Chienwrn Wu, who is the Chairman of Department of Information and Finance Management, at National Taipei University of Technology. The success of workshop is attributed to the efforts of the faculty and students, and thanks to the great academic atmosphere of Department of Information and Finance Management. 11:15-12:00, 2016/07/30. Visit President &CEO of Yuanta Securities Investment Trust Company (Yuanta Funds), with Taiwan Financial Engineering Association, 2016/07/19. I delivered speech 【Cloud Platform for Makers】at the Incubation Center, held by Ministry of Economics, at Tatung University, Taiwan, 2016/06/28. I delivered speech 【Embrace the Rise of Finance Technology】at EMBA program, National Chung Hsing University, Taichung, Taiwan, 2016/06/21. I delivered speech titled as【Embrace Finance Technology, Build up New Era of Information Services】at EMBA program, at National Chung Hsing University, Taichung, Taiwan. The students are the expertise from various industries. Students are encouraged to share their thoughts and raise questions. I am very impressed that they shared their views with confidence and clear logic, I feel happy and am proud of them. 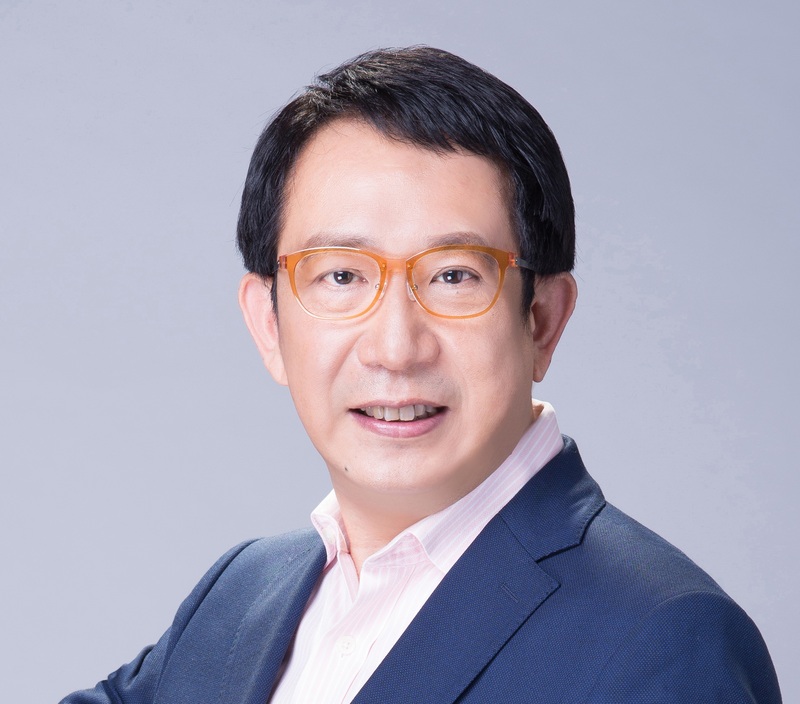 The success of this speech is attributed to the efforts of Dr. Hsiu-Yuan Taso, who is the faculty of EMBA program, as well as the Associate Professor at Department of Marketing. The success also thanks to the great academic research atmosphere of National Chung Hsing University 19:30-21:31, 2016/6/21. As the Panelist of【Trend of Financial Technology】forum, held by Department of Information Managemnet of Tatung Univ, Taiwan, 2016/06/08. 4. 林仲宇 董事長 / OmniBud Inc.
As the Moderator and Panelist of 【Innovation on Financial Engineering and Financial Technology】forum, held by Financial Engineering Association of Taiwan (FeAT), 2016/05/22 at Province Univ, Taiwan. I delivered speech titled as【Embrace Finance Technology, Build up New Era of Information Services】at Information Management Department of Tatung University (TTU), Taipei, Taiwan. Phenomenal talk and interaction on Financial Technology and Improving the English Communication Skills by Mr. Rich Ong, Makers178!! !